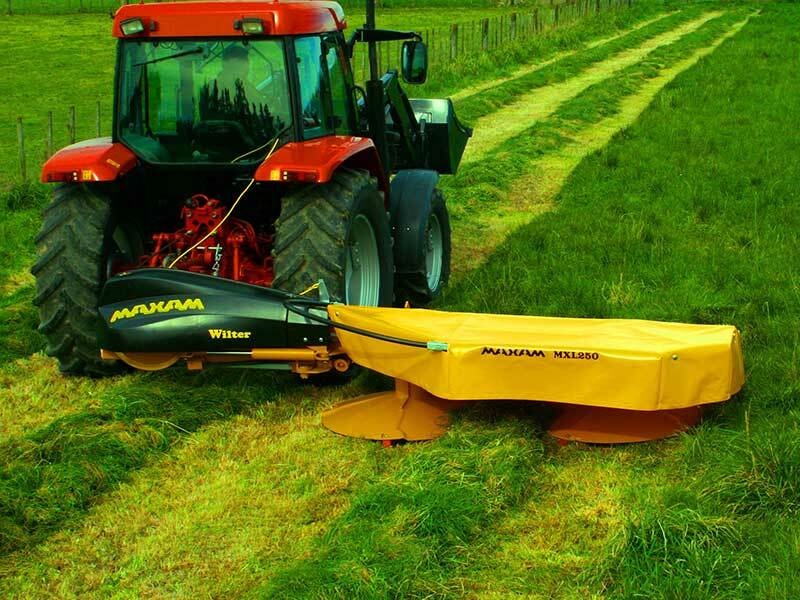 The MXL250 is effectively the Maxam 2500 mounted out the side of the tractor in the traditional mounting position. 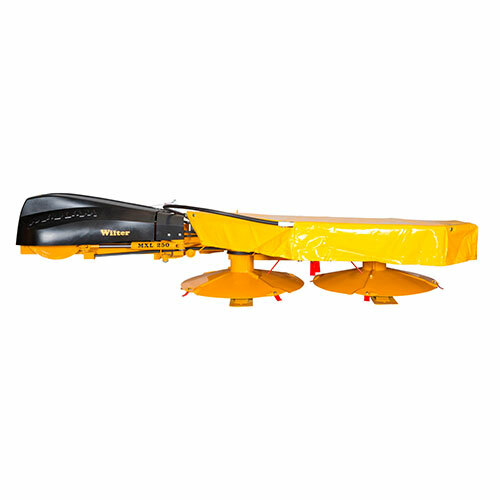 This equates to a very robust yet versatile mower in a very compact transport position. 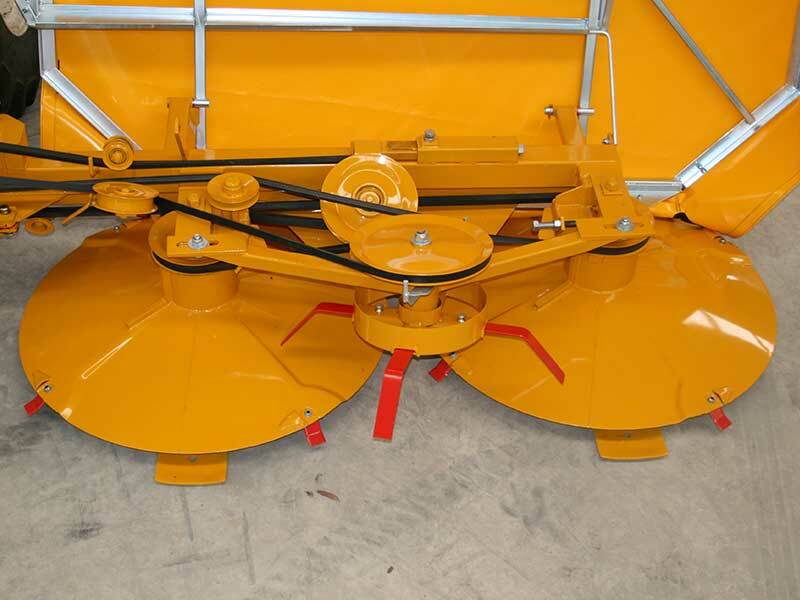 Ideal for farmers who cut their own crops and want the full spread of grass from the Wilter spreader. Note; The price above includes the Wilter spreader. The Maxam MXL250 is a simple, reliable and robust belt driven mower. 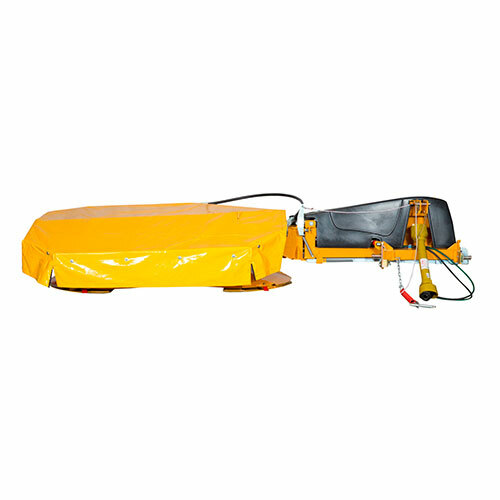 It is easy to use, has a compact transport position and is fully covered for corrosion resistance and safety. 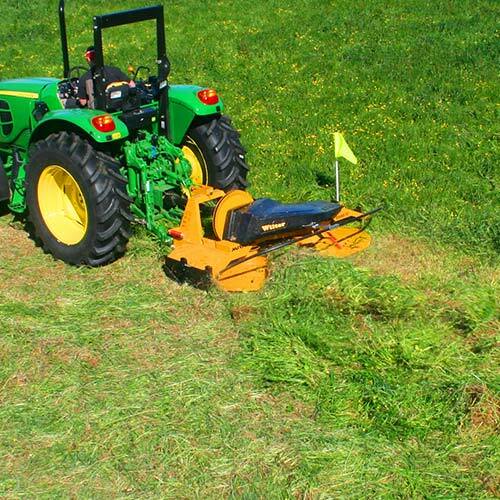 The spring loaded breakaway system absorbs impact in a crash and the mower follows all ground contours closely. 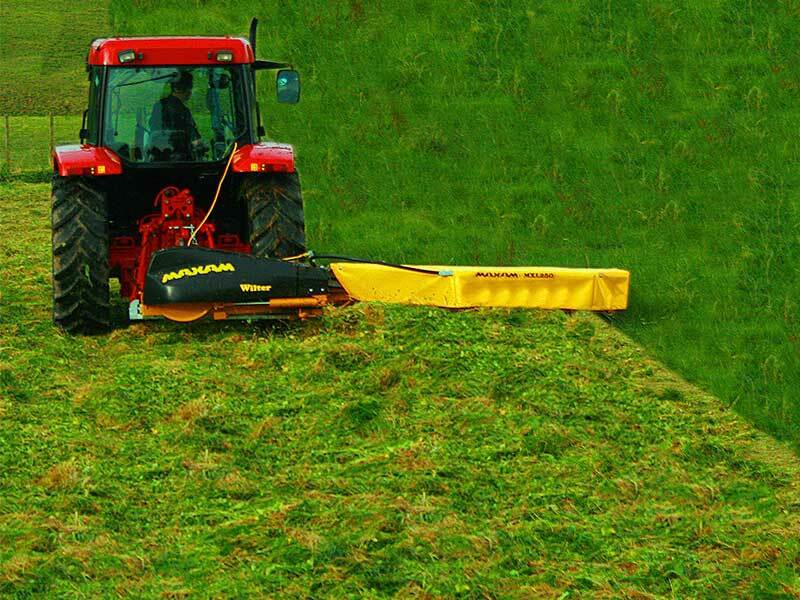 The Maxam MXL250 creates top quality forage with the flat clean cut and fast wilting time from the Wilter spreader. The spring loaded weight transfer system ensures the MXL250 rides lightly on the ground and follows all ground contours closely. 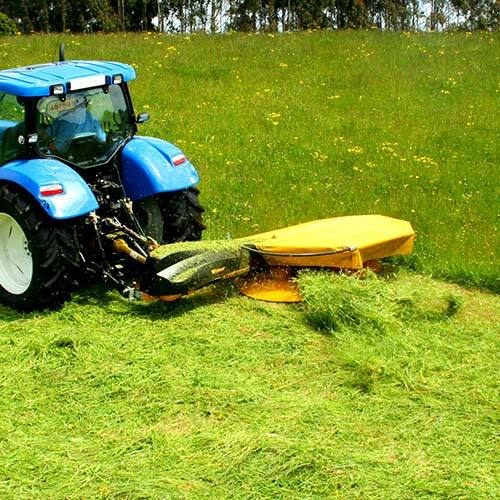 The MXL250 does not have any outside skids to block on the crop so no time is lost when mowing. You can mow over cut crop and finish the paddock off without endless lifting and time wasting short runs to finish the corners off. In fact, you can often mow a whole paddock without lifting it up at all! This efficiency makes the 2.5m cut seem a whole lot wider! 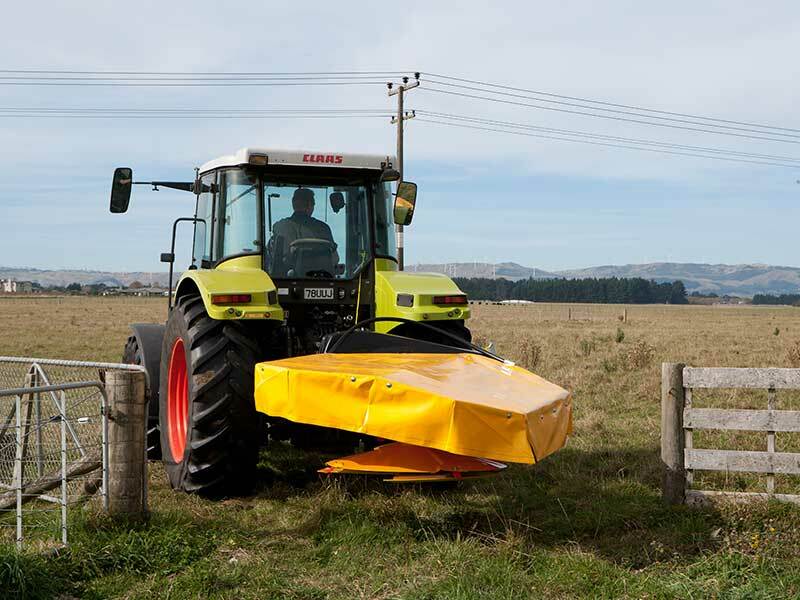 As shown in the photo above, the MXL250 MAXAM + Wilter mower neatly cuts and spreads the crop out to wilt, thus saving a pass with a tedder rake which is saving you time and money. There is no need to lift the mower on corners as blockages are eliminated by the clean design of the mowing head. 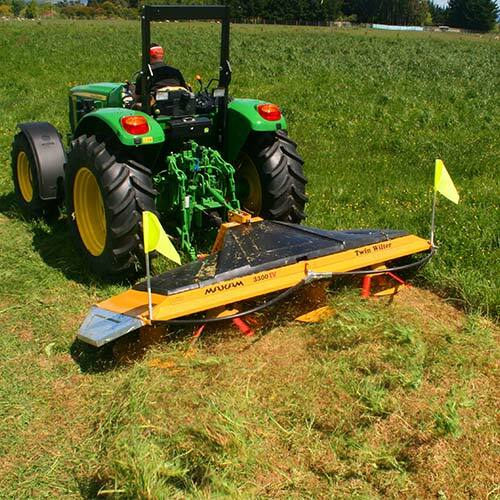 Even running over cut windrows is possible without snagging as there simply isn’t any obstructions. The MXL250 has the latest styling with computer designed moulded plastic covers that protect both the operator and the drivetrain. The MXL does not need a parking stand and is very easy to hook up to the tractor. 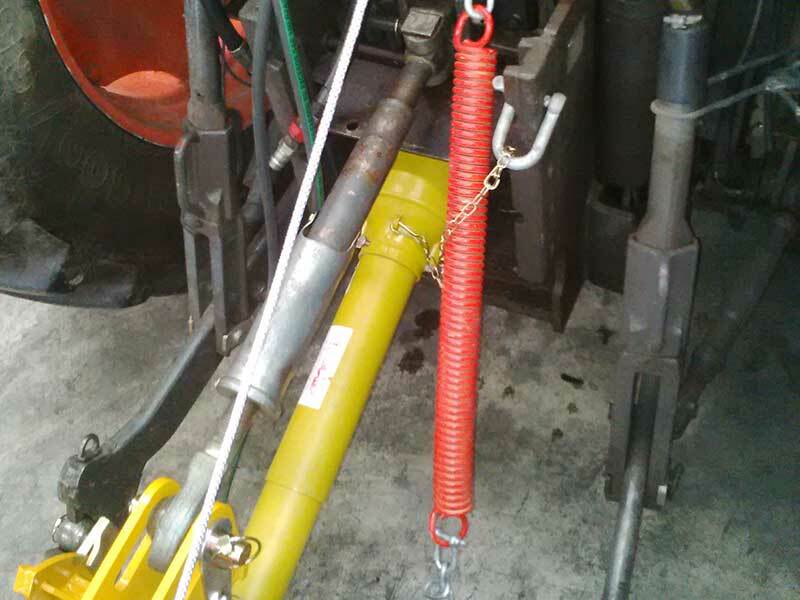 An over-run clutch is standard and when in work the main pivot is held by a mechanical lock, not the hydraulic ram. 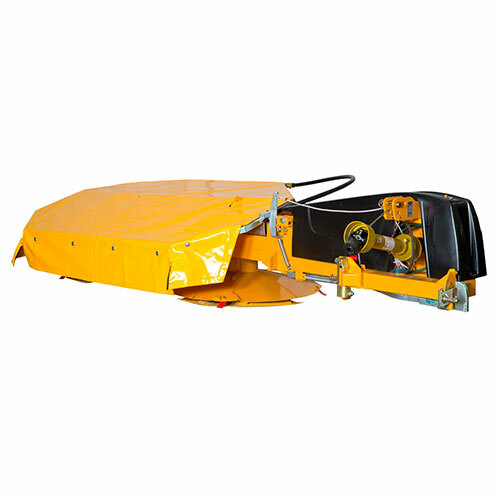 The main cover over the mowing head simply folds forward to allow unrestricted access to the cutting blades and belt drive. This is also excellent for cleaning the mower. There are only two heavy duty V-belts, one to drive the mower and one to drive the Wilter spreader. Lifting the cover and removing the Wilter tynes is a breeze. The long spring shown in the photo on the right is at the heart of the MXL250 Weight Transfer System. 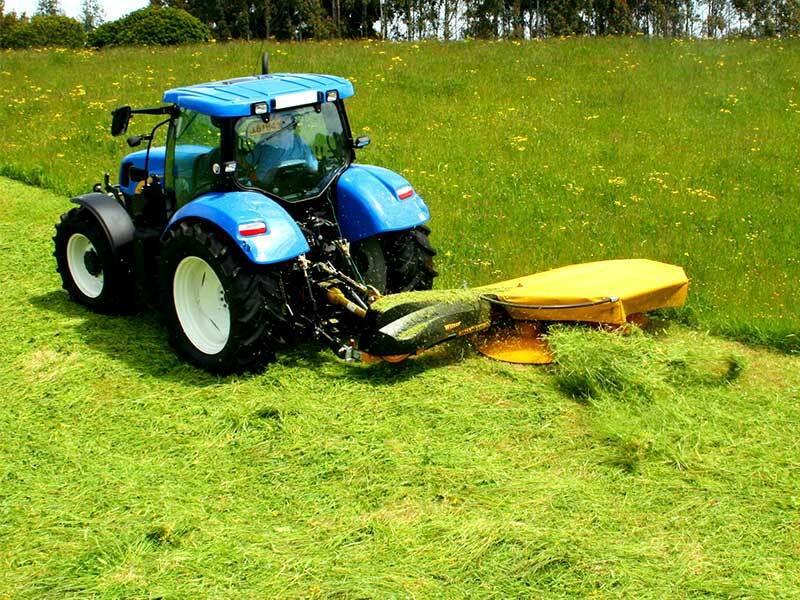 The weight of the headstock is transferred up to the tractor by the spring so the mower rides lightly on the ground, following all ground contours closely. 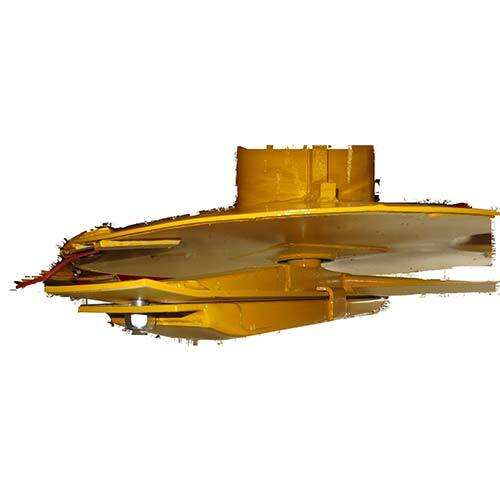 This system compliments the floating top link system to eliminate scalping. 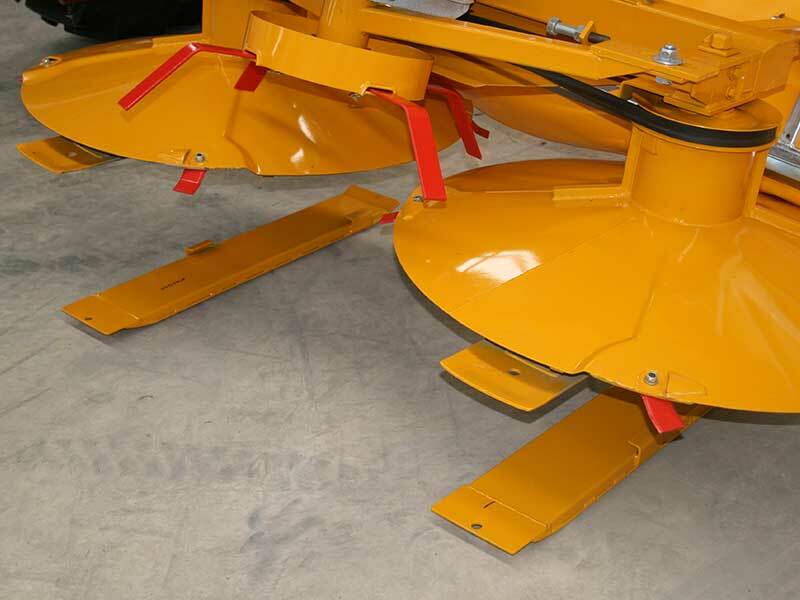 The MXL250 has optional topping skids available so you can have a cutting height of up to 75mm (3”). They are easy to attach, simply clip them on and secure with a single bolt. The smooth, snag free mowing that the MXL250 is renown for is still achieved as the skids are inside the cutting zone under the rotors.